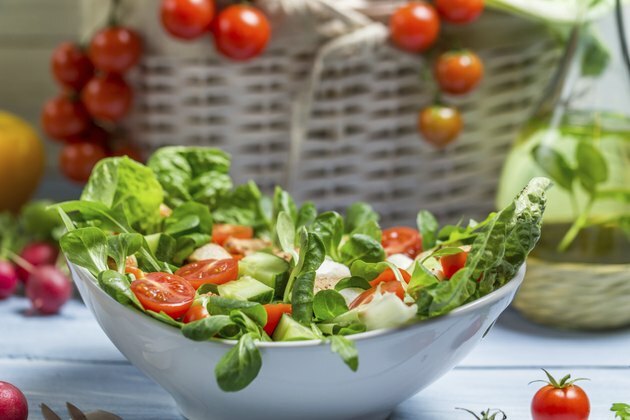 A diet without meat, sugar, dairy or bread is simple to follow, and does not require you to count calories, carbohydrates or fat, but remember that portion size is important in any diet for weight control. For most individuals, the healthiest diet is a balanced diet with a variety of foods from each of the food groups, so talk to a nutritionist if you need guidance. A diet without meat, sugar, dairy and bread does not have beef, pork, milk, yogurt, cheese, ice cream or bread products. It may exclude poultry and seafood, if you consider those foods to be meat. The diet may exclude fruits, which are high in natural sugar from fructose, or it may only exclude added sugars, such as corn syrup, high fructose corn syrup, refined sugar, brown sugar or honey. The diet includes eggs, soy, beans, grains, such as pasta or cereals, vegetables and nuts. A diet with no meat, sugar, dairy products or bread can help you lose weight if your regular diet is similar to that of the average American diet, which gets hundreds of calories per day from meats, desserts, cheese, milk and bread, according to the 2010 Dietary Guidelines from the U.S. Department of Health and Human Services. You can only lose weight by reducing your calories, and you will not lose weight if you replace the calories that you would have gotten from meat, sugar, dairy and bread with calories from other sources, such as cereal or fried foods. If you are lactose-intolerant, a diet without dairy products may prevent the bloating, cramping and gas that you get when you eat products with lactose, a natural sugar in milk. Fatty meats and full-fat dairy products are high in saturated fat and cholesterol, and a benefit of avoiding these foods may be lower cholesterol levels in your blood. A high-sodium diet increases your risk for high blood pressure, and your sodium consumption may decrease if you do not eat high-sodium foods, such as meat dishes, cheese and bread. Some of the best natural dietary sources of calcium are milk, cheese and yogurt, but even if you do not eat dairy products or meat, you can meet your requirements by eating fatty fish or fortified foods, such as tofu, breakfast cereal or orange juice, according to the 2010 Dietary Guidelines from the U.S. Department of Health and Human Services. You may need to get vitamin B-12 from fortified foods or supplements because it is only in animal-based products.